Scotland’s new Climate Bill focuses attention on when we become zero carbon, but also on the ‘What? and How?’ of getting there. The idea of a 'Just Transition', originating within the trade union movement, can ensure this process enhances social justice, protects livelihoods and creates a fairer and more equal nation. Matthew Crighton explores a key climate policy that could cut emissions and deliver a fairer Scotland. As the consultation on Scotland’s new Climate Bill focuses renewed attention on emissions targets and when we get to zero carbon, it’s time also to talk about the ‘What? and How?’ of getting there. The idea of a Just Transition, originating within the trade union movement, deals with the wider benefits which can come from the right approach to making industrial and economic change. It’s gaining ground because people are keen to move from agreement on the need for a low-carbon economy to making sure the transition does actually happen and that it protects the livelihoods of workers whose jobs may be affected. Friends of the Earth Scotland is arguing that the new Climate Change Act should enshrine a commitment that the ways in which a low-carbon economy will be achieved will enhance social justice, protect livelihoods and create a fairer and more equal Scotland – that is, that the transition will be a Just Transition. 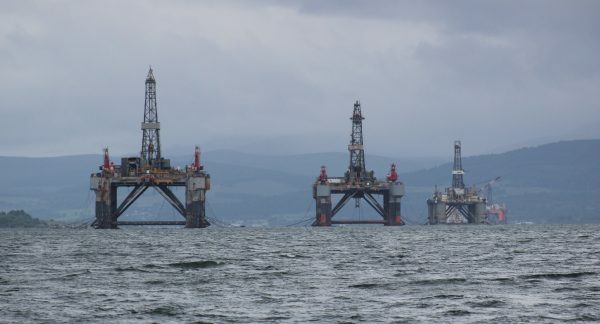 To energise and facilitate that, the Act should set up a Just Transition Commission which will advise the Scottish Government on the transition to a prosperous low-carbon economy in which the costs and rewards are shared fairly, and employment is protected. Industrial transitions can change the type, location and quality of jobs but the overall impact on jobs and income can be positive rather than negative, depending on how they are driven forwards. Building a low-carbon economy could result in a growth in employment if planned and delivered in a way which protects workers’ livelihoods, creates a new industrial base and so helps deliver a fairer and more equal Scotland. Studies have shown that the transition to a new low-carbon economy could result in a net increase in jobs provided it is carried out with this objective in mind. One such study anticipated the creation of 200,000 new jobs. 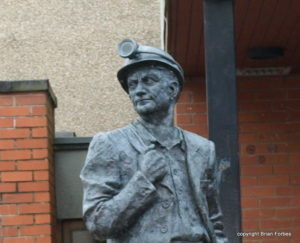 In contrast, a previous transition that was anything but just saw the loss of 20,000 Scottish coal-mining jobs from the 1980s, with many miners moving to lower-paid jobs or remaining unemployed and mining communities blighted. With huge numbers of people employed in high-carbon industries, the costs of getting this present transition wrong would be extremely high. The Climate Change Plan and the Energy Strategy should therefore form the basis of an industrial plan for the Just Transition to a low-carbon economy. They should incorporate measures to ensure an overall increase in the number of jobs and the creation of new high added value sectors which offer well paid secure employment; and it should ensure that the economic, social and environmental costs and benefits are distributed fairly. Jobs and companies should be re-purposed to ensure that existing capabilities are re-deployed in a new economy which delivers progress towards cutting emissions. Opportunities for upskilling and retraining to support these shifts must be properly funded. Where necessary to drive forward these plans, public investment and options of public or community ownership should be considered. Meeting the emissions reduction targets will need the concerted efforts of all social and economic sectors, led by government. There will inevitably be some conflicting dynamics in which old paradigms and vested interests will have to be superseded. Driving economic changes at this pace will be challenging but the positive vision provided by the Just Transition agenda offers a framework which can be shared and engage the support of all sectors. This can assist the Scottish Government to overcome barriers and engage the active participation of workers, employers and civic society. A Just Transition Commission is needed because, although there is widespread support in principle for the shift to a low-carbon economy, it is a challenging objective which requires the creation of new consensus in practice and a constant sense of urgency. With members drawn from the trade union and environmental organisations as well as key industrial sectors, it should be have a broad remit and be properly resourced. As work by Oxfam has shown, Commissions can generate focus on a topic which crosses the boundaries of many departmental silos, bring together a wide range of views and create a space for discussion and the resolution of differences of perspective: “It’s about building consensus for change”. Tackling climate change will inevitably bring profound changes to our economy. We must work and plan together to make sure we come through these changes with a fairer and more just society.